On behalf of YCSE Academy Team, we are pleased to present the Top 10 teams of our Young Changemakers Social Enterprise Academy. 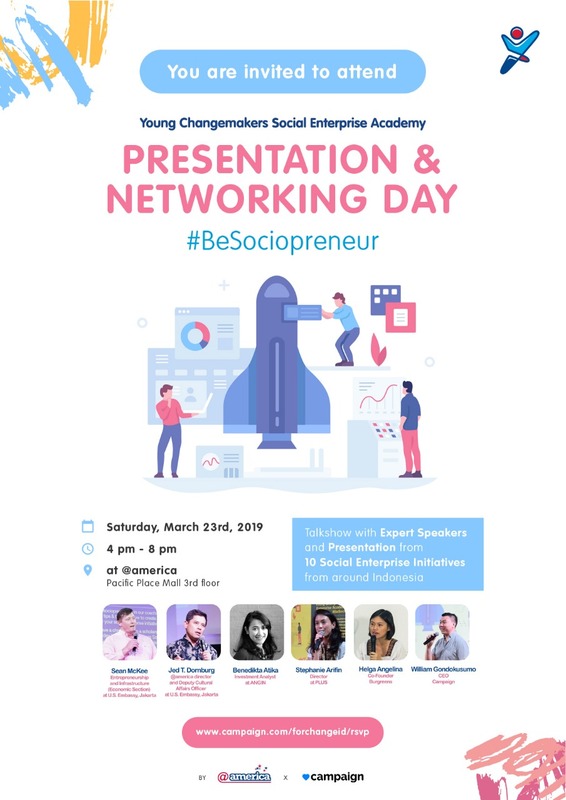 To celebrate their graduation, we would like to invite you to attend our YCSE Academy Networking and Presentation Day. It is our great honor to have you as our guest. Since there will be communities, media, our mentors and investors, I hope we can have some amazing collaborations during our event. We look forward to seeing you there and feel free to bring along your colleagues. If you have any other question, please contact our official WhatsApp on +62 812-8950-6560. Thank you so much and hope to see you!